overheating the router hardware. This results in a stronger signal and less dropped packets on my wifi connection. Added security: The ability to filter out certain cookies, ActiveX scripts and advertisements at router-level (thus protecting every machine behind it) is extremely handy. Easy Port Forwarding: We’ve all been there, forwarding ports for our favorite games/P2P services/ … DD-WRT offers a clean overview of the rules you installed (with no maximum amount of rules), and even shows the current UPnP rules which were setup up by applications on the network. QoS: By using some filters, you can make sure that your big downloads do not interrupt with streaming movies or online gaming. 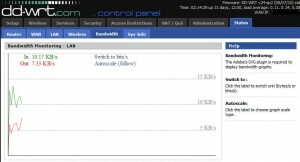 OpenVPN: On the router itself – no more fiddling around on the clients. Detailed overview of bandwidth usage: Even real-time graphs! And much, much more. A lot of this functionality is usually only available in high-end router hardware, but thanks to the power of Linux and open-source, is now freely available for users all over the world. Heartily recommended! 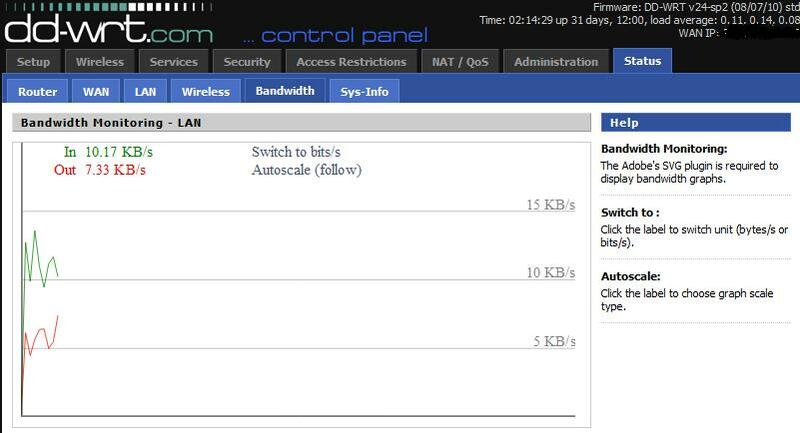 One Response to "DD-WRT: How to turn your simple home router into an enterprise-grade system"
well, to be more precise, I need the router to support vlan configuration so I can hook up my digibox directly to the internet through the router (so I don’t need an extra switch).